For 2011 the city of Brooks resale market had an average sale price of $237,018 which closely mirrors the first quarter of last year that had an average of $237,600. The have been 7 attached housing (duplex, apartments, condo’s, townhouses) sales in Brooks, with an average sale price of $162,071. For the first quarter, mobiles in Brooks had an average price of $58,870. Resale houses had an average 120 days on market before obtaining sale. Top sale price so far in 2011 has been $382,000. In the first three months of 2011 there were 5 foreclosure homes that were resold on the market. Reality: This often is not the case. Often the assessor is unaware of the improvements or the current condition of the house. Often properties have not been reassessed for an extended period. Myth: In a robust economy – when the sales prices of homes in a given area are reported to be rising by a particular percentage – the value of individual properties in the area can be expected to appreciate by that same percentage. Myth: An Appraisal is the same as a building inspection. Reality: An Appraisal does not serve the same purpose as an inspection. 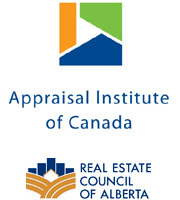 The Appraiser forms an opinion of value in the Appraisal process and resulting report. An inspector determines the condition of the home and its major components and reports these findings. Alberta farmland values increased an average of 2.9 per cent during the first half of 2010, following gains of 3.8 and 1.0 per cent in the two previous reporting periods. Values increased by an average of 0.4 per cent per month between January 1 and June 30, 2010, which mirrored the same average monthly increase during 2009. Farmland values in Alberta have been rising since 1993. The more modest increase during the first six months of 2010 compared with the last six months of 2009 was due in large part to slowing urban sprawl, coupled with a decrease in the amount of land purchased by speculative interests. Southern Alberta experienced steady demand from large landholders looking to expand operations in traditional dry land areas. Irrigation land remained in high demand, with land suitable for specialty crops driving the market. In central Alberta, the transfer of family farms between generations was a main driver of land values. A decrease in the expansion of large land holdings and continuing challenges in the beef and hog industries contributed to a more moderate increase in land values compared to the previous period. In 2010 there were 176 home sales and 20 mobile home sales that went through the Brooks MLS system. This does not include any private sales. This is up from 2009 where there were 151 homes sold and 27 mobile homes. The average price of homes dropped from 249,766 in 2009 to $241,074 in 2010. The average price slipped by 3.5%. Please note that this 3.5% reduction is in average price only and can not necessary be applied to every property. Different properties reduce or increase in value at different rates. There were 37 sales over $300,000, 3 sales over $400,000 and one sale over half a million for 2010. In 2009 the average price for half duplexes, condo units and townhouses was $175,300, in 2010 this dropped to $154,681. As of January 25th, 2011 there are currently 84 properties active on the MLS system for the City of Brooks. There are 105 properties active in the County of Newell. This includes Bassano, Duchess and all the small communities in the County.